The Challenge on The Shabby Tea Room is to use these colors and have a tea or picnic theme. I'm using Me and Carrie Lou Stamps with a pretty adhesive fabric background from Micheal's and I colored the ribbon with copic re-inker. I used the tiny doily from Cheery Lynn and cut it into 4 pieces for the corners. 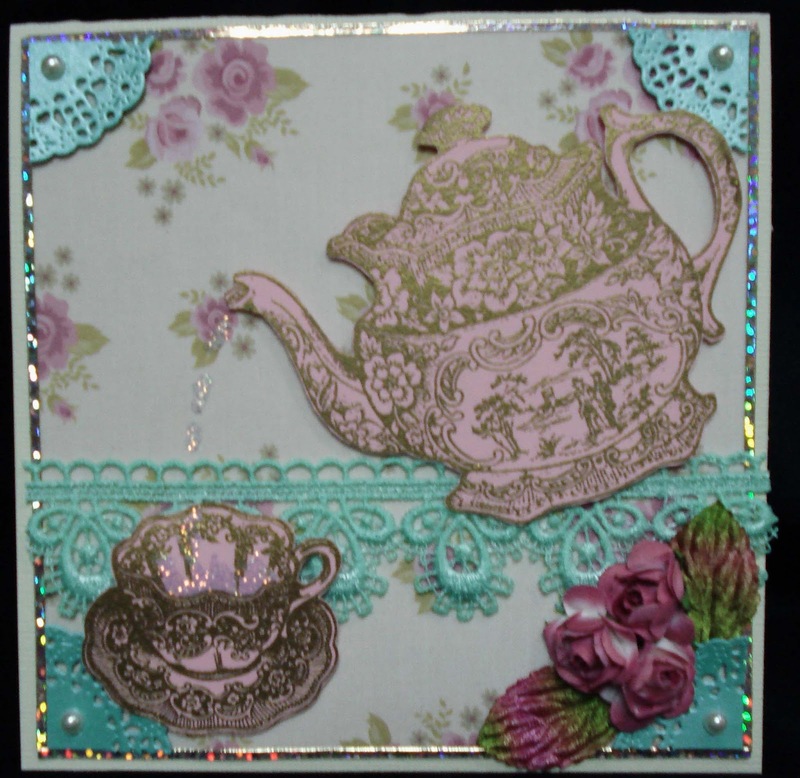 Added some pretty peel off borders and flowers, leaves and stickles to finish the card.